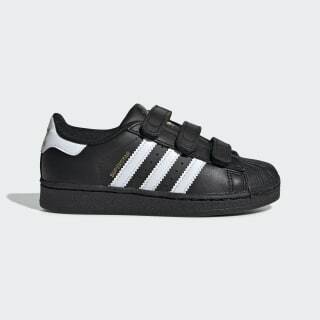 A timeless adidas Originals design, fit for kids. Inspired by the iconic '70s basketball shoe. The adidas Originals Superstar Foundation downsizes the famous B-ball and hip-hop sneaker for the next generation. 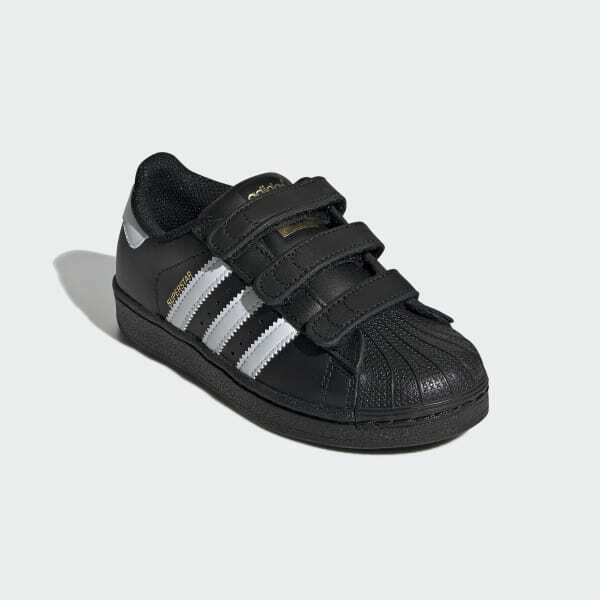 These kids' shoes have a soft leather upper capped with the famous rubber shell toe for durability. Lightweight cushioning provides all-day comfort.